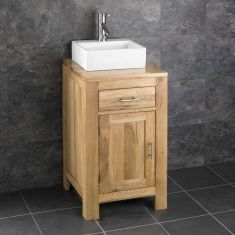 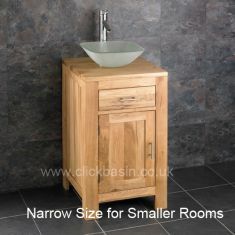 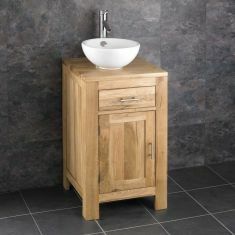 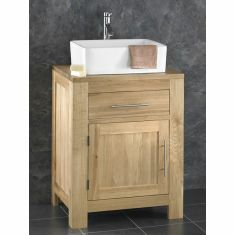 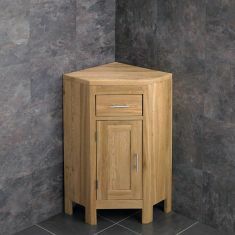 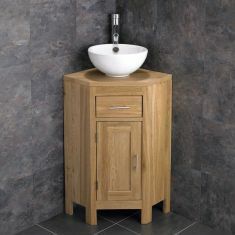 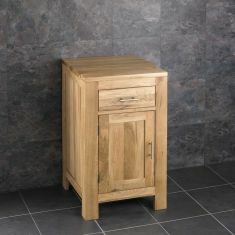 The Alta Range of Solid Oak Cabinets offers a strong and bold statement to your chosen room. 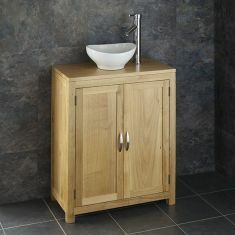 The clean line finish gives a modern feel, combined with the natural beauty of the Oak makes this one of our most popular ranges. 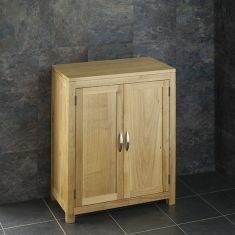 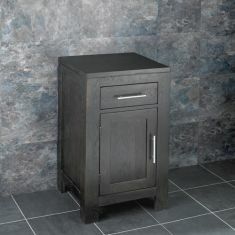 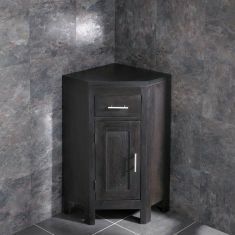 Squared off edges to cabinet top and chunky strong legs give the cabinets a style of their own. 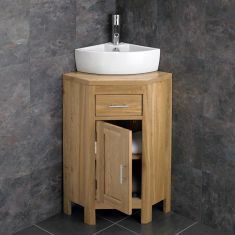 Combine with a similar Trieste rectangular basin to continue the theme, or pair the cabinet with other variations of basin to change the mood. 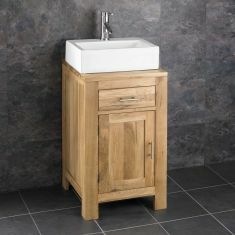 Finished with a simple yet effective straight bar handle and you have the perfect combination. 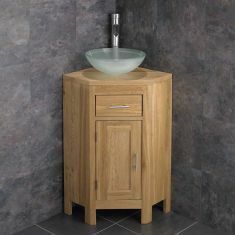 A real statement piece.